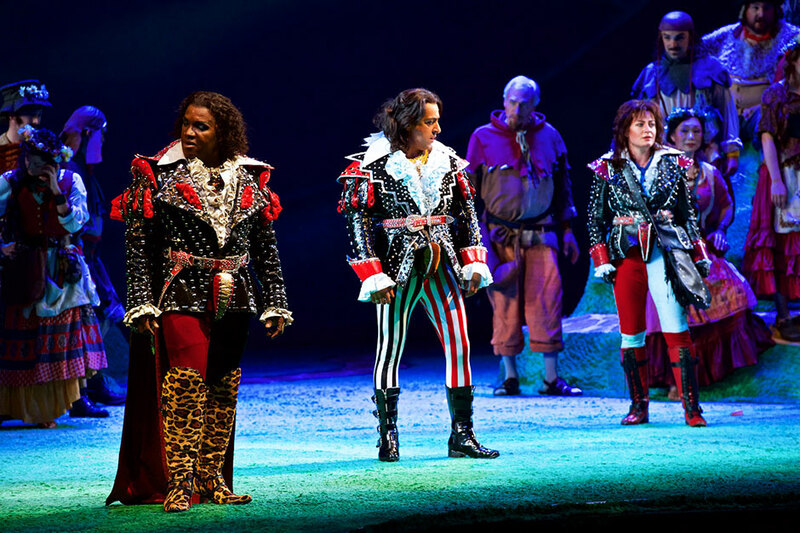 This less famous but equally hilarious opera by Rossini, composer of The Barber of Seville, is so outrageous that it invites a costume designer to go over the top—a challenge this production's designer, Dan Potra, gleefully accepted. The goofy plot in a medieval French setting reminded Potra and director Lindy Hume of Monty Python and the 1970s, an era that also saw the birth of glam rock. So this creative duo dreamed up a world for The Wicked Adventures of Count Ory in which the noblemen show off their wealth and status with studded leather jackets, leopard-print boots, and comically large codpieces. The result? A show The Seattle Times called, "Frothy, fast-paced, and irresistibly funny: Seattle Opera's most uproarious season-opener ever!" 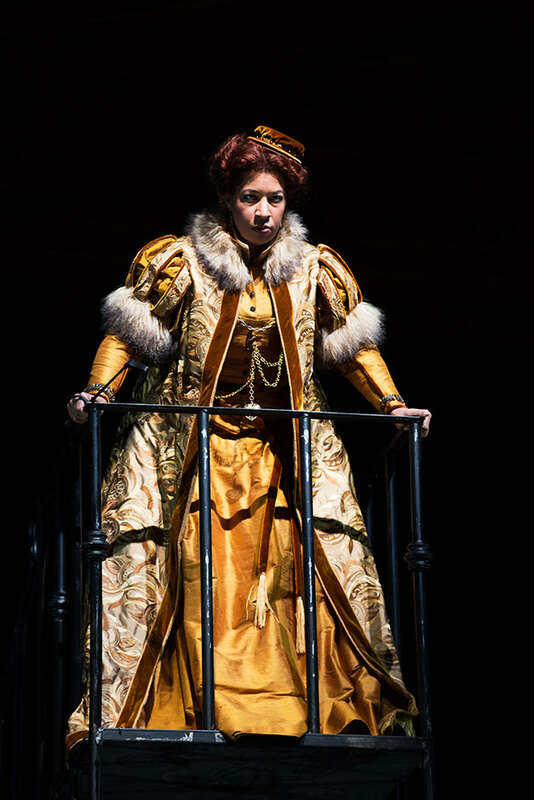 Hear from costume designer Jessica Jahn as she discusses her approach to Seattle Opera's 2016 production of Mary Stuart. Turandot, an epic tale of the proud, vengeful Princess Turandot who has had countless suitors executed, is considered by many to be Puccini's grandest opera. Much of the opera takes place at the royal court, so director Renaud Doucet and designer André Barbe pulled out all the stops not just for the main characters' garments but also for the costumes—like the one pictured here—worn by choristers, dancers, and supernumeraries ('supers' for short, they are like extras in a movie). Soaring music, world-class singers, and unforgettable visuals earned rave reviews for Seattle Opera's 2012 production from critics and audiences alike. 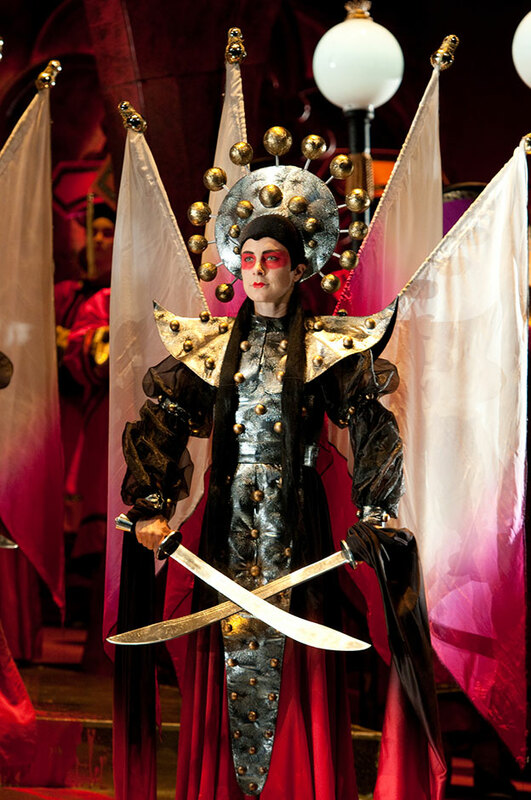 Opera regularly combines singing, orchestral music, acting, and dance into one extraordinary performance, but sometimes even more art forms join the fun—like when celebrated fashion designer Zandra Rhodes designed the sets and costumes for The Pearl Fishers at Seattle Opera in 2015. Fishing for pearls is a dangerous job, so the entire village prays for the safety of the fishermen in a ritual that involves ceremonial dancers (pictured above) and a beautiful chaste priestess who will, of course, find herself in the middle of a forbidden love triangle. 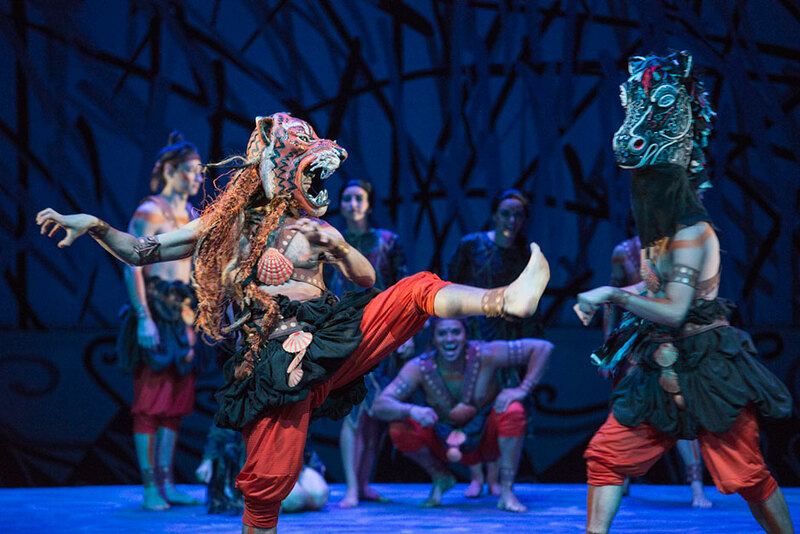 Rhodes brought her signature imagination and colorful aesthetic to life in this opera, giving the dancers headdresses that represented the animal qualities and strengths the villagers hoped to bestow upon their fishermen.